Microsoft has an incredible commitment to the communities in which it operates, but many people simply don’t know about it. 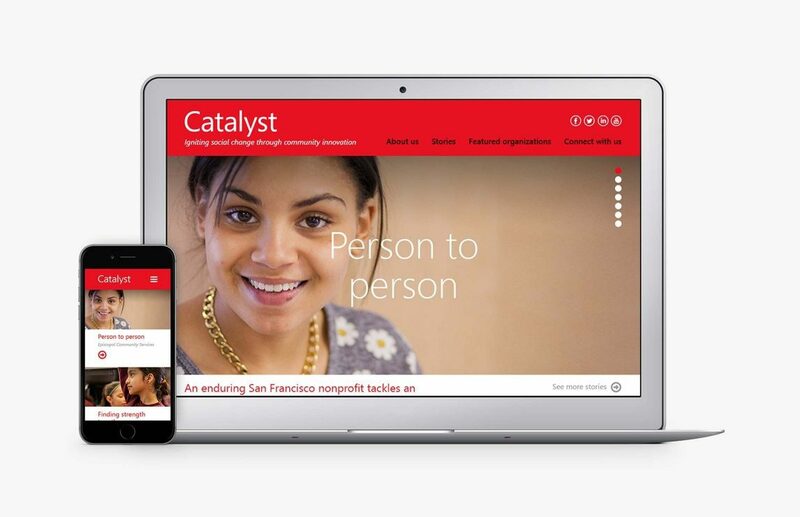 The Citizenship team in Silicon Valley was looking for a way to tell stories of the non-profits that they support in the Bay Area, and asked for our help designing a quarterly magazine that would be sent to business leaders and members of the community. 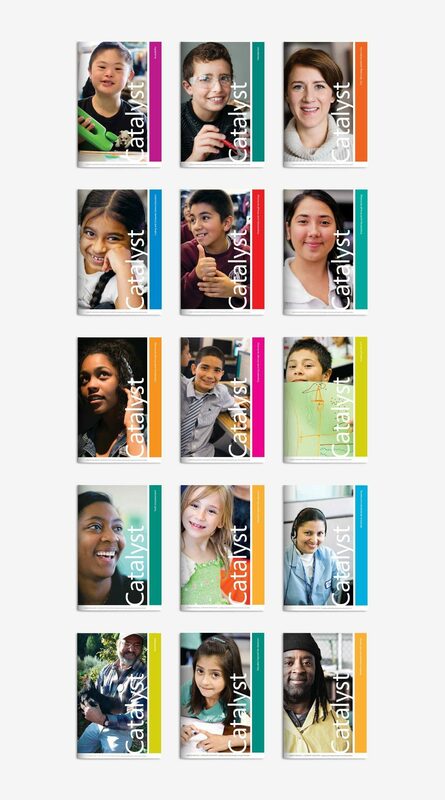 Catalyst Magazine focuses on issues ranging from education, arts, workforce training, and the environment. The design is a differentiated and approachable in its narrow vertical format, editorial-style photography, and use of infographics. The coolest part is that over 90 non-profits have been spotlighted in 15 issues, and the goodness keeps on coming. 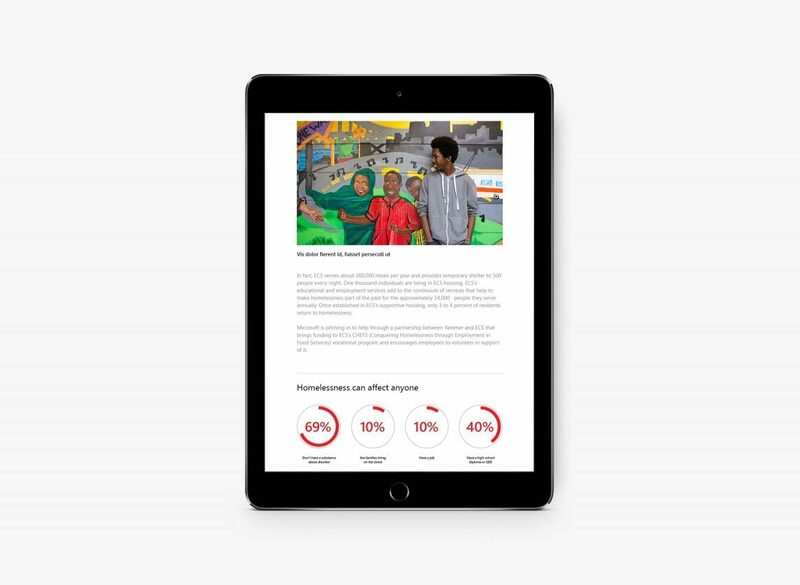 Along with every issue, we create breakout PDFs for each nonprofit featured, helping them promote their own story and generate attention around their recognition in the magazine.